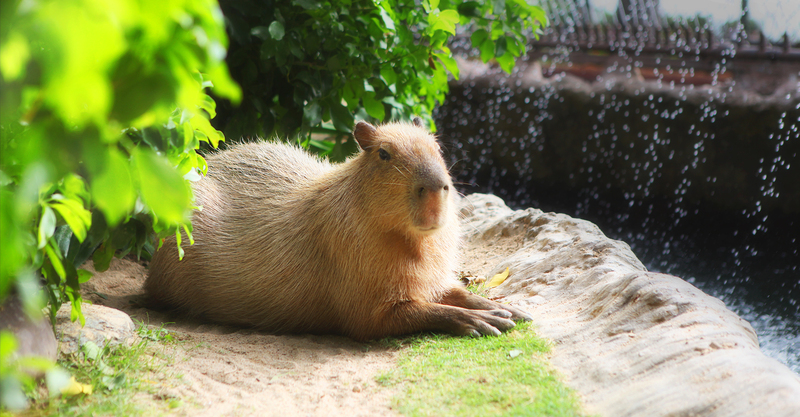 Now, you'll have a chance to meet the capybara, the largest rodent in the world, and nature's "agile stuntman", the tamarin! 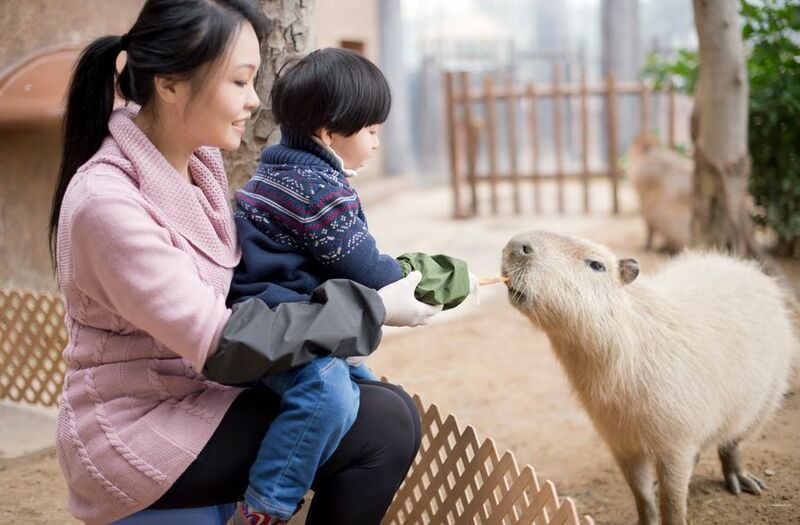 Try your hand as an animal keeper and prepare a delicious feast to feed these animal friends. 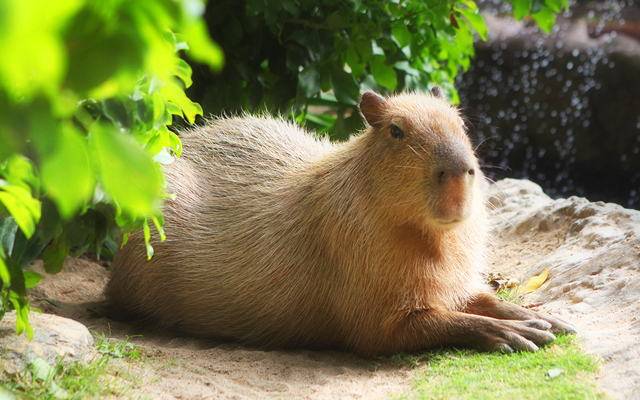 You can also enjoy an exclusive talk about capybara and tamarin husbandry and care! Participants are advised to wear sports shoes and pants. All forms of photography or videography and the use of mobile devices are not permitted during the programme. Participants must be aged 3 years or above. 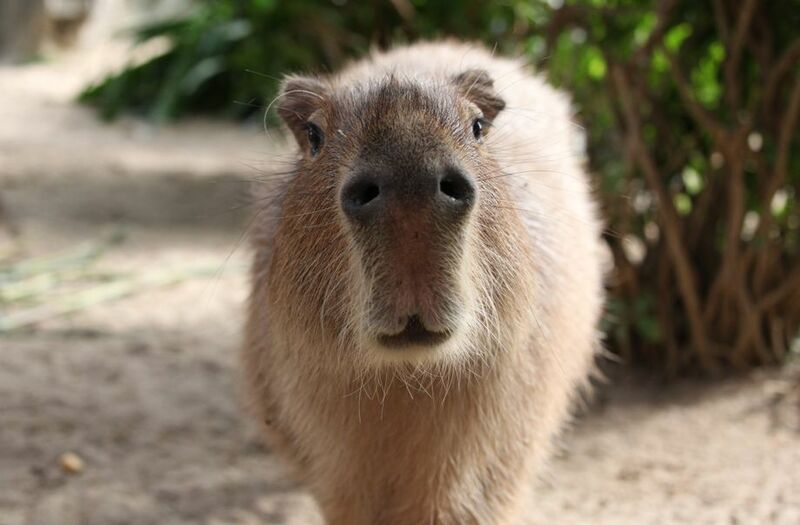 For the health and safety of all participants, staff and animals, every participant must meet the following criteria in order to participate in the programme. 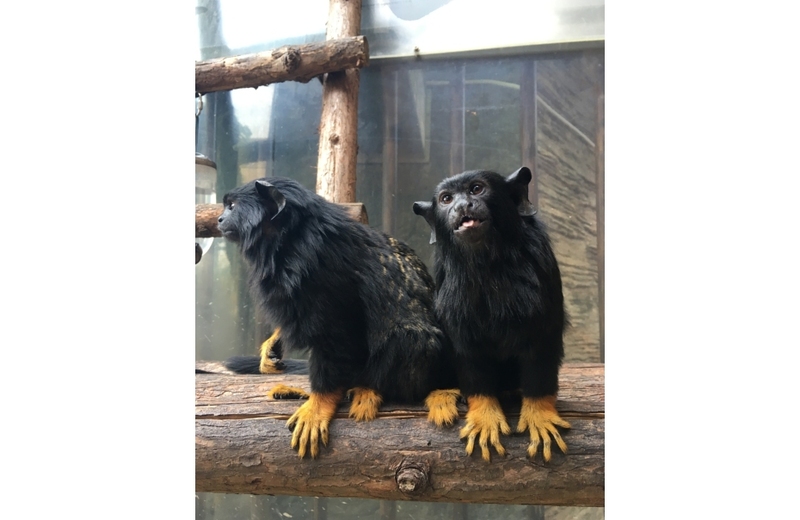 Participants must be aware that such programme involves a degree of unpredictability, where quick reactions and strict attention to directions from the Park's staff are essential. 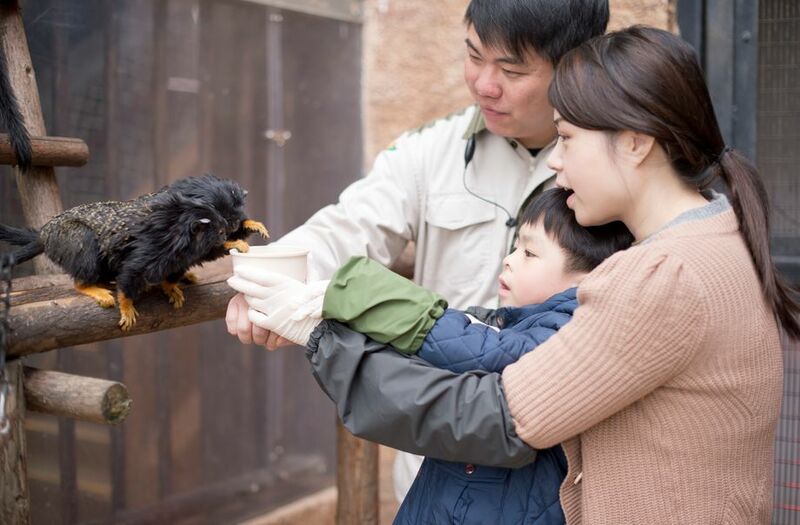 If at any time during the programme any participant is assessed by the Park's staff as not being able to fulfil the following criteria, he/she will be asked to leave the programme and he/she must immediately comply with such directions. Any unnecessary accessories must not be worn. Participants will be requested to put on working sleeves and gloves provided by the Park. Participants must wear sport shoes for the programme. If needed, participants can wear the gum boots provided by the Park. Participants must not be suffering from any infectious diseaseRemark 2specified in the First Schedule to the Prevention and Control of Disease Ordinance (Cap 599 of the laws of Hong Kong SAR). Participants must not have open cuts or infections on hand or forearm. Participants who are suffering from any disease (including, but not limited to, fever, coughing, cold/flu, active Herpes simplex episodes (cold sores), nausea, diarrhoea, vomiting, skin disease, heart disease, lung disease, haemophilia, epilepsy, fainting/giddiness/loss of consciousness when in close contact with animals, phobia of water or animals, allergy to animals or depressed immune mechanisms), under the influence of medication and/or alcohol are not recommended to participate in this programme. No device or equipment (including camera and recording device) is to be taken into the activity venue without the prior permission of the Park's Supervisor. The Park's staff shall at all times have the full and final right to determine whether any participant is suitable for the programme and may refuse entry if refusal is necessary to ensure safety or order. 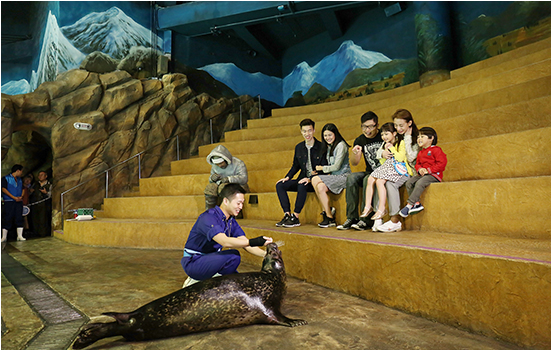 If the Park's property is found to be lost or damaged during the programme, reimbursement in full cost must be made by the participant. 2 These diseases include acute poliomyelitis, amoebic dysentery, anthrax, bacillary dysentery, botulism, chickenpox, chikungunya fever, cholera, community-associated methicillin-resistant staphylococcus aureus infection, creutzfeldt-jakob disease, dengue fever, diphtheria, enterovirus 71 infection, , food poisoning, haemophilus influenza type b infection (invasive), hantavirus infection, influenza A (H2), Variant Influenza A (H3N2), influenza A (H5), influenza A (H7), influenza A (H9), Japanese encephalitis, legionnaires' disease, leprosy, leptospirosis, listeriosis, malaria, measles, meningococcal infection (invasive), mumps, paratyphoid fever, plague, psittacosis, Q fever, rabies, relapsing fever, rubella and congenital rubella syndrome, scarlet fever, severe acute respiratory syndrome, Severe Respiratory Disease associated with Novel Coronavirus, Shiga toxin-producing Escherichia coli infection, smallpox, streptococcus suis infection, tetanus, tuberculosis, typhoid fever, typhus and other rickettsial diseases, viral haemorrhagic fever, viral hepatitis, west Nile virus Infection, whooping cough, and yellow fever. • Subject to availability at the time of application. Apply in person at Waterfront Gifts, Ricky’s Shack, Shutters, Rainforest Gift Shop and The Lodge 60 minutes before programme schedule. The participant's name, confirmation letter and the credit card used for payment should be presented for verification on the date of the visit. 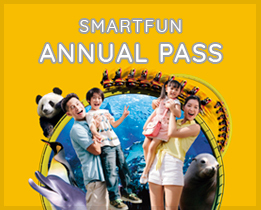 If you are a SmartFun Annual Pass holder, applied programme date must be on a valid admission day. Please present your original SmartFun Annual Pass for the purpose of verification on the programme date. If the participant fails to comply, he/she must settle the price difference before the programme commencement. 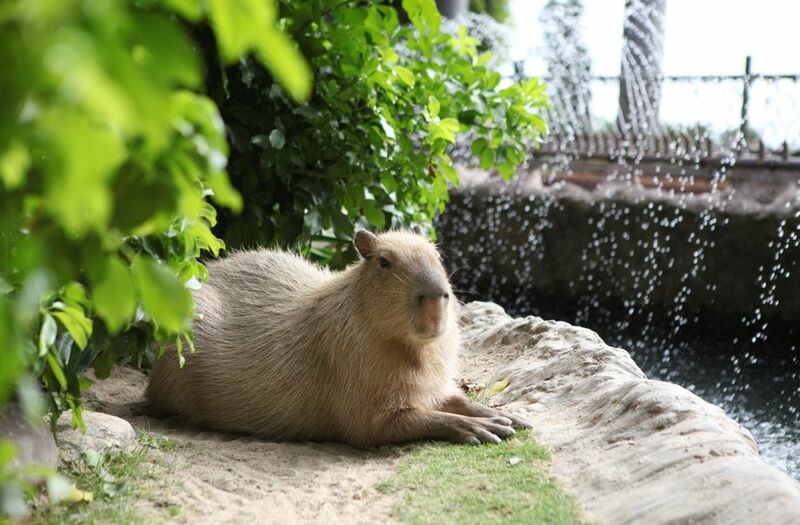 Meet the Capybara & Tamarin programme will be suspended from 1 November 2018 to 31 March 2019. Subject to availability at the time of application. Apply in person at Waterfront Gifts, Ricky’s Shack, Shutters, Rainforest Gift Shop and The Lodge 60 minutes before programme schedule.